Protein is the fundamental unit of life. It can be found in every single cellular tissue of the human body. Protein is the most important ingredient our body needs after water, as it’s needed everywhere including our skin, eyes, cartilage, muscles, and our bones. In this respect, ensuring adequate replenishment of protein is by far the most rudimentary approach to preserving our health. As many of us tend not to consume enough protein from our daily meals, choosing a good protein supplement is crucial. What are the attributes of a good protein supplement? 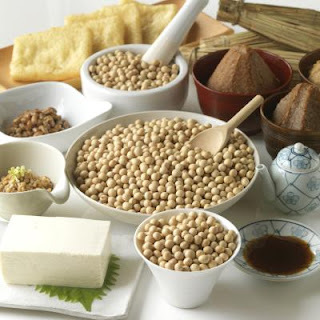 (1) A great source of protein are those extracted from soya beans. Being at the beginning of the food chain, plant-based protein has higher energy level and is easier to digest (unlike animal-based protein, which tend to have higher toxin build-up). (2) The protein is isolated i.e. the purine, allergen, cholesterol, fibre and fat substances have been removed. What is left is only the pure amino acid protein. As such, Jia Hor Soya Protein is safe for people with kidney problem, gout and excessive uric acid problems, won’t cause allergy and does not contain sugar, cholesterol etc. (3) The isolation process uses natural enzymatic method, instead of using chemical extraction (which may be more harmful for the body) or heat extraction (which produces lower protein content). (4) Jia Hor Soya Protein contains lecithin, which is good for development of brain cells, minimize hypertension, speed up metabolism, expedite digestion etc. (5) Jia Hor Soya Protein is in amino acid form, hence can be easily absorbed by our body (up to 95%). This is unlike sources of protein from milk powder/meat, which need to be broken down first. (6) It is very safe – no additives and preservatives are added and it does not cause allergic reaction to people with soy allergy. As it does not burden your kidneys, you can consume up to 6 sachets a day without worry. (7) Jia Hor Soya Protein is convenient to consume as it comes in individual sachets - easy to pack for travels. (8) It is hygienic and its freshness is maintained as it does not get oxidised because of its individual packaging instead of in a big container. (9) Jia Hor Soya Protein is of high quality and it has many benefits (refer to this website called The World's Healthiest Foods for the very, very long list of benefits). It is very good for pregnant mothers, vegetarians, people with gastric problem, recovering from surgery, suffering from constipation, ladies who crave for beautiful radiant complexion and to prevent breast cancer. (10) Finally, value for money in view of all the benefits above. Please contact me at laifuiping@gmail.com if you want to buy Jia Hor Soya Protein to experience for yourself its benefits.